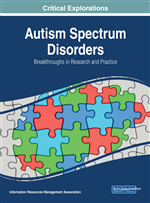 The following action research study is focused on the effectiveness of the transition to work programs for students with a diagnosis of autism. The research was conducted in a middle-sized school district in Southern California. The study identified graduates from high school who were part of the transition work programs before receiving their certificate of completion or high school diploma. The objective of the study was to establish if the students were employed and to determine the effectiveness of the transition to work program. This qualitative study used surveys and interviews of the graduate students, the students' parents or legal guardians, and the students' previous employers. The researcher obtained information about the effectiveness of the transition work program in relation to the specific training provided by the program in the areas of social skills, knowledge of expectations, sequencing steps of a task and carryout steps until completion, and the ability to ask question when needed. The National Organization on Disability found that “Despite research documenting the benefit of community-based employment, the vast majority of people with ASD continued to be unemployed” (National Organization on Disability, 2004; Wagner et al., 2005). A study of 187 young adults with Autism (mean age 2.5) revealed that only one fourth was employed (Kobayashi & Murata, 1992; Mawhood, Howlin, & Rutter, 2000). The results of a related study found that among 19 men with Autism, only 1 was competitively employed and 3 worked in sheltered or voluntary jobs” (Hendricks & Wehman 2009).